As technology has developed, the fight against Legionella and its lurkings in water based air cooling systems has moved on too. Previously manufacturers got away with all sorts of over complicated cooling setups – paying no heed to health and safety risks or the potential for outbreaks of respiratory illnesses like Legionnaire’s disease – but now it’s a different story. Local authorities and risk assessors stipulate stringent controls. What’s different about our adiabatic products? Our adiabatic coolers introduce a fine mist of water into an oncoming airstream to increase its relative humidity thereby reducing its temperature. They’re especially good for when required water temperatures can’t be achieved with dry air cooling alone. 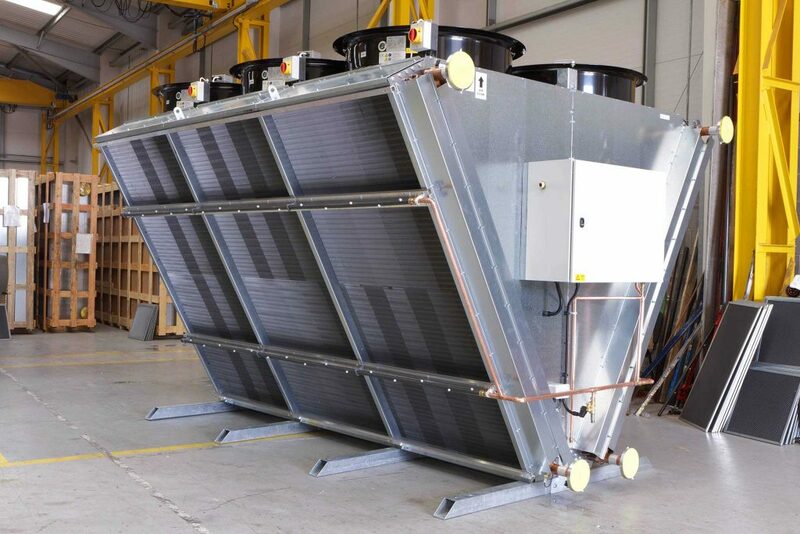 Designed in conjunction with leading Legionella risk assessors from the Biological Agents Unit at the British Health and Safety Executive, our adiabatic coolers have so many safety measures and failsafe mechanisms, that – compared to a lot of our competitors – they don’t need to be registered with local authorities and don’t require regular ongoing chemical treatment. This is confirmed in the latest HSE endorsed ‘The Control of Legionella in Dry/Wet Cooling Systems’. This document also lays to rest any uncertainty surrounding certain ‘Hybrid Cooling Systems’. It essentially outlines that any alternative type of cooler that directly trickles water over heat exchange material or one which has a water collection basin or tank in order to recirculate the evaporative water, must be registered with a local authority and may need regular ongoing chemical treatment due to their higher risk nature. Also making Transtherm products the better option, we have safety measures easily visible to the end user via a BMS (building management system) so that any faults can be detected and resolved swiftly and to the satisfaction of risk assessors. Our control systems incorporate PLCs (programmable logic controllers) that gather information for end user system operators showing outlet water temperature, unit input power and any fan inverter faults giving you complete peace of mind and Legionella risk cut to an absolute minimum.